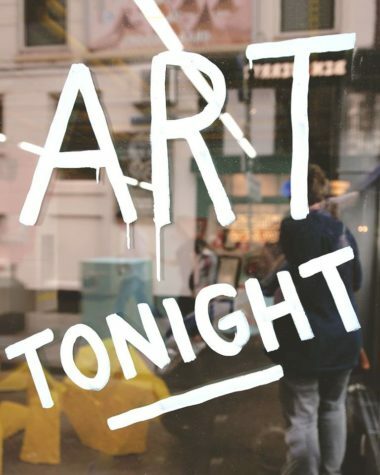 Dur­ing the Art Evening, you can tour the street solo, or join a Kun­st­block Tour (Art Tour) as one of our ex­pert guides will in­tro­duce you to the Kunstblock art venues and show you the ver­sa­til­ity of con­tem­po­rary art: in­side and out­side, from fine art to mu­sic, from pho­tog­ra­phy to film and much more. The Kun­st­block Tour takes place be­tween 7-8pm, dur­ing the Kun­stavond (Art Evening from 6-9pm), at­ten­dance is free, no reser­va­tion re­quired. Start: info desk Witte de With Cen­ter for Con­tem­po­rary Art/​​​TENT, Witte de With­straat 50. The Art Quar­ter is known as the ar­tis­tic and in­no­v­a­tive area of Rot­ter­dam. Be­sides the Kunstblock art venues, you will find a di­ver­sity of al­ter­na­tive bou­tiques, restau­rants and pubs. The at­mos­phere at Witte de With­straat in Rot­ter­dam is re­laxed and cul­tural. Location: Kunstkwartier of Rotterdam MAMA, TENT Rotterdam, WORM Rotterdam, V2_, #WittedeWith Center for Contemporary Art en kunst in de openbare ruimte van CBK Rotterdam.